Manchester City have the chance to close the gap on Premier League leaders Liverpool to one point when they face Newcastle on Tuesday (kick-off 8pm). 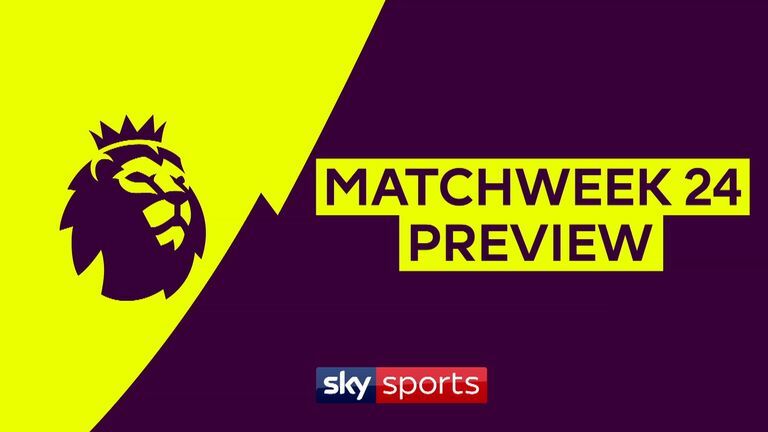 City have been playing catch-up in recent weeks as Liverpool have had the chance to play first. However, the champions now have the opportunity to apply some pressure with Liverpool facing Leicester on Wednesday. 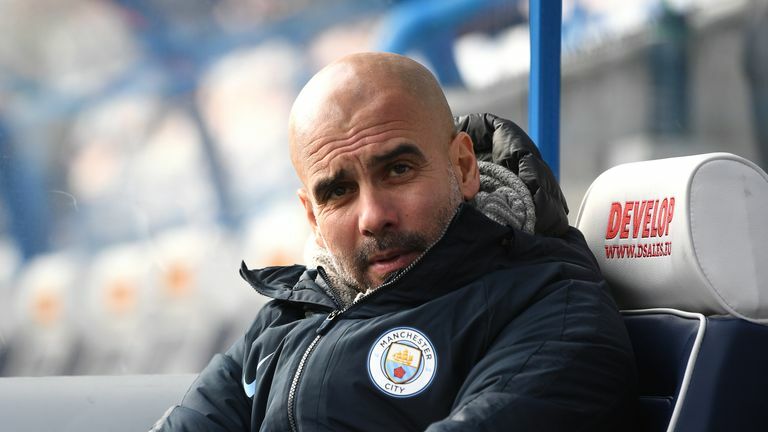 Pep Guardiola, though, has warned that one more slip-up could spell the end of City's title defence. "In both situations, whether we play later or earlier, the only chance we have is to win the games. If not it will be almost over," said the City boss. "Every game for us is a final, in the cup competitions every game is also a final. What should we do playing first? We have to win. What should we do when playing after? We have to win. "We have the pressure and feel the pressure but we have to handle it." 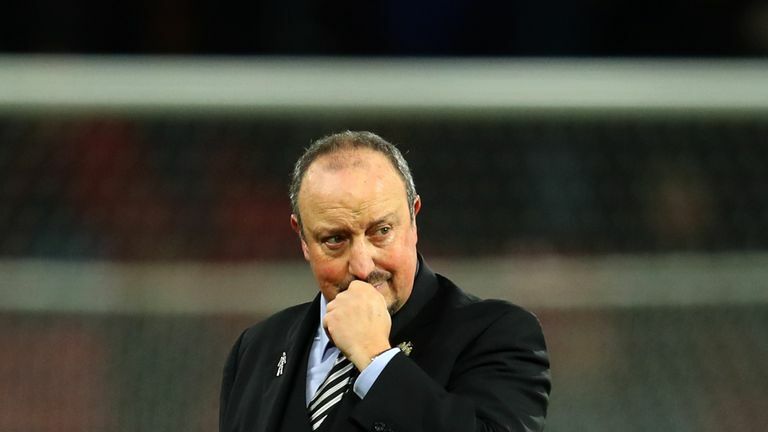 Newcastle ended a run of five Premier League games without a win against Cardiff last time out. They are looking for back-to-back victories in the competition for the first time since November. Predict six correct scores for your chance to win £250k. Manchester City will again be without injured defender Vincent Kompany, who has not played since the 2-1 victory over Liverpool on January 3. 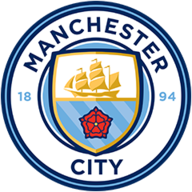 City also have a doubt over left-back Benjamin Mendy, who suffered a slight reaction during his comeback from injury against Burton last week and was not involved in the weekend FA Cup rout of Burnley. Newcastle striker Joselu is out with an ankle injury sustained during Saturday's 2-0 FA Cup fourth-round defeat by Watford. However, Salomon Rondon was always likely to lead the line after being rested along with six key team-mates at the weekend. Joselu will join defender Paul Dummett (hamstring) and midfield trio Jonjo Shelvey (thigh), Mohamed Diame (hip) and Ki Sung-Yueng on the sidelines, while striker Yoshinori Muto remains on duty with Japan at the Asian Cup. Newcastle are winless in their last 22 Premier League games against Man City (D3 L19) - both Newcastle's longest winless run and Man City's longest unbeaten run against any top-flight opponent. Man City have taken 46 points from their last 48 available against Newcastle (W15 D1 L0), scoring 45 goals and conceding nine in that run. Newcastle scored more goals in their last Premier League game against Cardiff (3) than they had in their previous five in the competition (2). It was also the first time they'd scored more than twice in a league game this term. Man City have scored the opening goal a league-high 20 times in Premier League games this season (W18 D0 L2), while Newcastle have lost all 11 of their games in which they've conceded first - the highest such 100% defeat record this season. 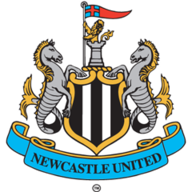 Newcastle have won four of their last six home Premier League games against sides starting the day in the top two, losing against Arsenal in December 2013 and Man City in December 2017. This will be Man City manager Pep Guardiola's 100th Premier League game in charge. He's won 73 of his 99 so far (D15 L11) - the record for most wins by a manager in their opening 100 matches in the competition is 73, held by Jose Mourinho. Man City's Sergio Aguero has scored 14 goals in his 12 Premier League appearances against Newcastle - more than any player has scored against an opponent for a single club in the competition's history. Man City's Raheem Sterling is currently on 99 goal involvements in his Premier League career (59 goals, 40 assists in 212 games). I can't see anything but a Manchester City win here. Newcastle were dumped out of the FA Cup at the weekend so that's more negativity and another year without any sort of challenge for silverware. City are flying at the moment and their good form will continue at St James' Park.